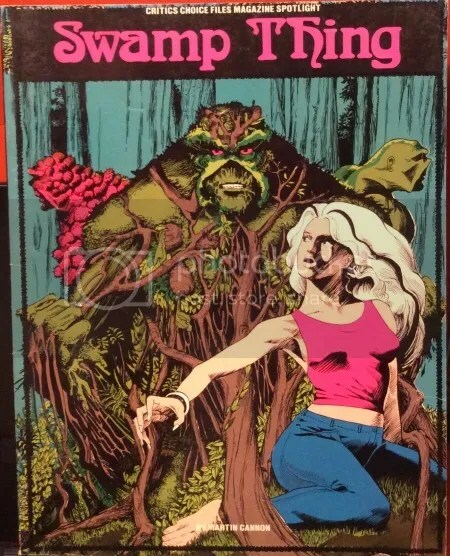 Psi Fi Movie Press spotlights Alan Moore’s work on Swamp Thing issues 20-33 and Annual #2. 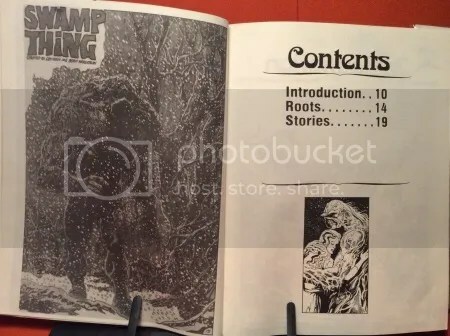 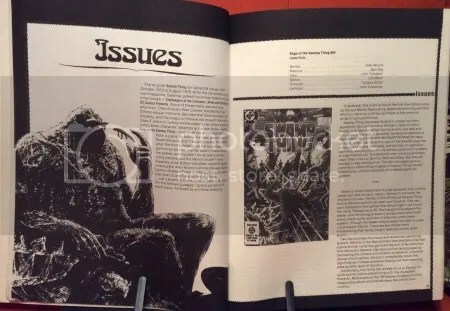 The book features a history of Swamp Thing, background info and a summary of each issue. 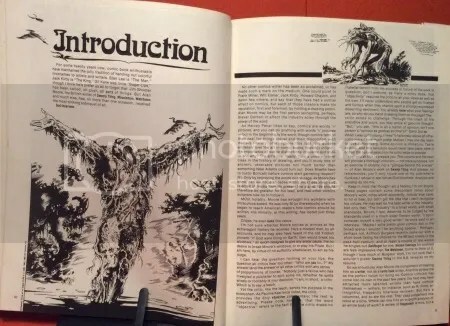 There are also a few really cool production sketches. 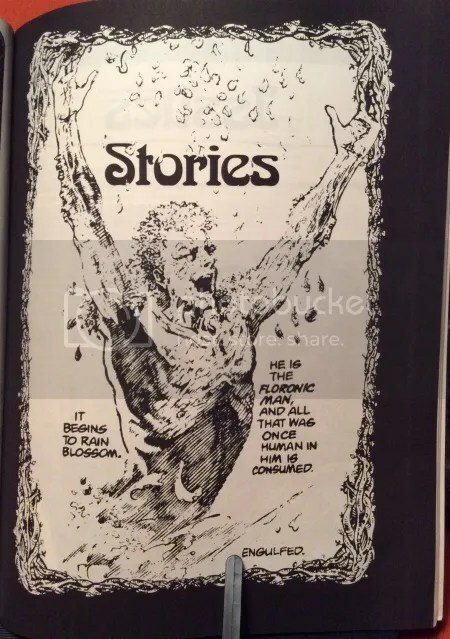 This is the first book in a series of three. 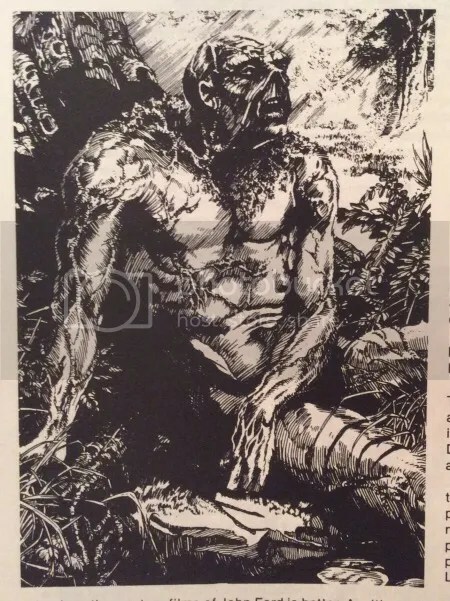 The following character design was used for the Saga of the Samp Thing sample pages. 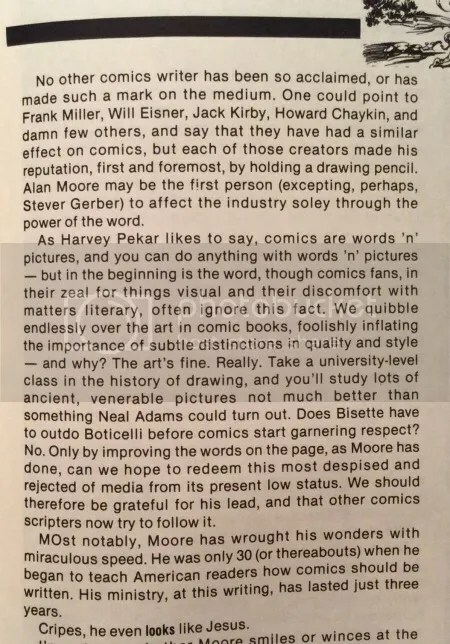 The book starts with a colorful write-up praising Alan Moore.